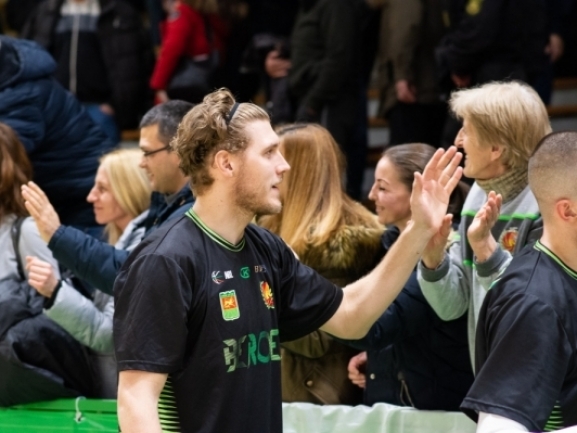 The Canadian center of Beroe Dallin Bachynski will no longer be a part of the team. The contract has been mutually terminated as a month ago it became clear that the player is seriously injured and will not be able to step on the court until the end of the season. The Canadian was able to play just 5 Balkan League games this season but did really well. He averaged 13.8 points and 9.6 rebounds and was a big part of Beroe′s early success in the competition. The management of the team is now looking for a new player to replace him. On Saturday Beroe will play Levski Lukoil in the Cup of Bulgaria final while next week the team will have two BIBL games - away at Teuta and Kozuv.